COLOUR US BEAUTIFUL: The young talents put on rousing, high-energy display. Cinderella got her prince, Marley magic reigned supreme, and modern dancehall got the final word. The 2014 season of dance (dubbed "Beyond") by the Wolmer's Dance Troupe, a company on the cusp of 25, was an intoxicating celebration, fuelled by eye-popping colour, fairy-tale magic, rhythmic motion and no shortage of youthful exuberance from an army of lithe girls (and a couple of young men) who held us in their thrall for the full two-and-a-half hours. In keeping with tradition, Artistic Director Barbara McDaniel took the lead on choreography, crafting at least 10 of the programme's twelve works, alongside guest collaborators like Orrette Beckford, Nicholas McPherson, Ayana Graham and Stephanie Smith, whose "My Battle Within," was an unqualified delight, exploring the ubiquitous light-and-dark duality with sophisticated style and ounce of flourish. Another notable highlight: "Glorious Days," a sweeping spiritual ode that closed the first half, buoyed by a powerful soundtrack of Kurt Carr, Troy Sneed and the harmonious nuns of Sister Act. Working with the Luther Vandross classic "A House Is Not A Home," another McDaniel crowd-pleaser "My Space" provided an emotionally charged slice of domestic bliss with stylish props that served to heighten the work's interpretive feel. "Land of Dreamers", meanwhile, took on aspects of the Alice in Wonderland and Cinderella fables and turned them on their ears to create a four-movement pastiche steeped in fantasy, melodrama and magical realism. And because we all wanted our happy ending — not necessarily of the storybook variety — we found it in "Trapped - In a World of Their Own," a brash and attitude-laden piece that managed to intriguingly capture the energy and excitement of modern Jamaican popular music. YOUNG AT ART: Brown gets an earful from the fiery Monique Ellis in this scene from the hit comedy. Ask Marlon Brown how he ended up in the theatrical arts, and he'll unhestatingly tell you the truth: he was drifting in the corporate world until a mentor did him a solid and helped him discover his life's true calling. That was over a decade ago, and Brown has been steady on the acting grind ever since, landing sizeable roles in shows (The Trouble With the Johnsons, Risque) that earned him proper notice and landed him in the pantheon of emerging Jamaican actors who matter. At 37, having declared he's in it for the long haul, there's no stopping him now. Costarring in The Prophet at the Green Gables Theatre this month, opposite Keith 'Shebada' Ramsey and Garfield Reid, Brown talks to TALLAWAH about characterization, life as a married man, and being a committed student of the acting craft. TALLAWAH: What is the biggest compliment you've ever received since embarking on your acting career? Marlon Brown: I remember a woman came up to me after seeing Risque and told me that she would never ever let me near her daughter. (Laughs). When something like that happens it means you did a really good job in portraying your character on stage. So that's what I always aim for. TALLAWAH: In The Prophet, you're rather convincing as a lottery scammer with an aggressive mean streak. How does one prepare for a role like that? M.B. : Living in Montego Bay for about seven years, I was around people who were actually doing it. So I didn't have to go too far to find inspiration. TALLAWAH: Your character doesn't have the greatest luck with women either. Could you relate? M.B. : Nah sah. I'm a married man. Two years now, with three kids. TALLAWAH: Do you consider yourself cocky? M.B. : No, I actually consider myself new to the industry. Still learning. There's so much to learn as an actor; you never stop learning your craft. TALLAWAH: Outside of the theatre, where do your interests lie? M.B. : I write. I have a few scripts that I'm hoping to bring to the stage in the near future. I'm a dad; I'm a husband. I love photography. My wife won't allow me to lay any more sports; she doesn't want me to hurt myself, so I stick to my photography and my writing for now. 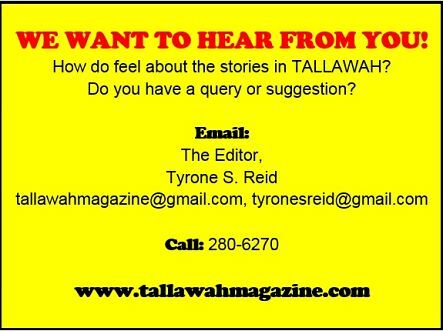 TALLAWAH: Let us in on a few details about your formative years. M.B. : I grew up in the Vineyard Town area of Kingston, attended what was then Vauxhall Secondary, then went on to HEART Academy. In terms of work, I was doing the wrong thing for a while. I couldn't fit into corporate Jamaica and I didn't know what the problem was until I realized I was going in the wrong direction. David Tulloch pointed me toward the stage, and I haven't looked back since. TALLAWAH: That's quite a story. With your natural acting ability and obvious ambition you might just excel in this fickle business. What do you ultimately hope to accomplish? M.B. : As an actor, you definitely want to see your work up on the silver screen, so that's where I want to ultimately take my acting career. IN RETROSPECT: The past figure's prominently in James' ambitious new novel. "It's epic in every sense... a testament to Mr. James' vaulting ambition and prodigious talent." 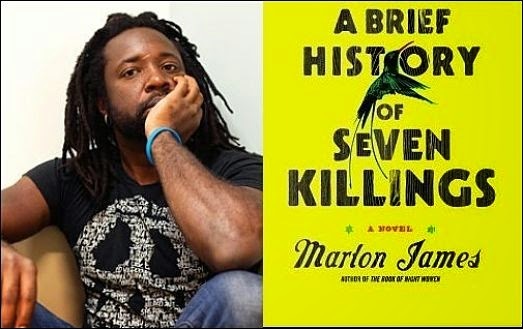 That is how The New York Times' notoriously acerbic chief book critic Michiko Kakutani describes A Brief History of Seven Killings (One Word Publications), the latest full-length novel to spring from the creative imagination of Jamaica's Marlon James, one of the most distinctive voices leading the ongoing renaissance in "West Indian" literature. After wowing critics and stirring heated book-club debates with his acclaimed debut John Crow's Devil and the mesmerizing follow-up The Book of Night Women, James is poised to dazzle readers anew when Brief History lands in bookstores on October 16. This go-round the skilled storyteller is drawing on a dark chapter in reggae history to spin a yarn that compellingly marries fact with fiction while tackling truth versus hearsay. On the third of December 1976, a couple of days before Bob Marley was scheduled to perform at the widely publicized Smile Jamaica Concert, an event put on to help ease the rampant political tensions of the day (weeks before the General Elections), seven West Kingston gunmen stormed Bob's house and opened fire. Much ado was made of the attack that could have snuffed out the superstar's life, but very little about the assailants ever made headlines. What was the end of their story? Focussing his lens on this whole sordid affair, James assumed the role of an oral biographer, assembling a diverse cast of voices (ghosts, beauty queens, average Joes, you names it) to craft was has amounted to "a compelling novel of monumental scope and ambition." As expected, Brief History has been garnering rave reviews from tough critics all over the world, who've largely declared it a triumph. "Upon finishing, the reader will have completed an indispensable and essential history of Jamaica's troubled years. This novel should be required reading," declares Publisher's Weekly. Adds The New York Times' Kakutani, "[Brief History] is like a Tarantino remake of The Harder They Come but with a soundtrack by Bob Marley and a script by Oliver Stone and William Faulkner." BLUE NOTE: "This is going to be with me for life. There's no turning back," the deejay-turned-minister reflects. It's a very simple routine he's getting used to. Once the service has drawn to a close and the worshippers have all filed through the door to start their Sunday, Ryan Mark Reynolds makes his way across the stage, gathering up the electrical equipment and other objects to be placed in containers for the journey home. Sharply turned out in a grey-and-black ensemble and matching accessories, this dashing and extremely tall gentleman could easily pass for your fresh-from-college high-school maths teacher. That is until you cast your eyes across the stage and they come to rest on a vibrant vision-and-mission banner that reminds you that you're a guest in the house of Pure Heart Ministries International, Ryan's new spiritual ministry which convenes here each week — inside the auditorium of the Theatre Place in New Kingston — with a small but growing congregation. 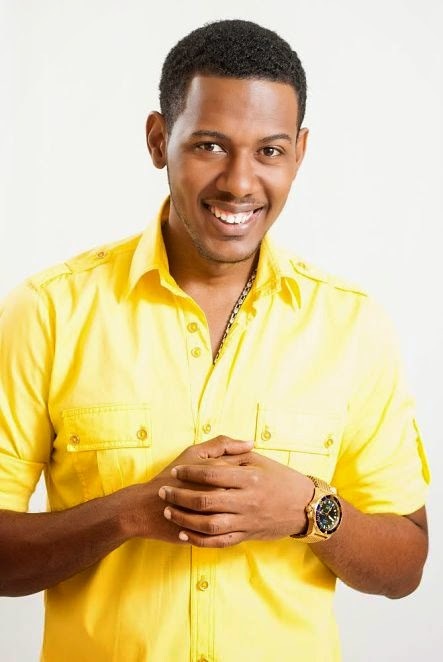 As one of Jamaica's most well-known gospel entertainers, known for rocking concert crowds from Kingston to Negril to Miami, Ryan Mark (over the course of the past decade or so) long established himself as a household name, a musical messenger armed with an arsenal of catchy, soul-stirring tunes and mainstream appeal. Along the way he discovered he had much more to offer his fans and the wider public, particularly the youngsters searching for something meaningful to be a part of. It was only a matter of time before he'd feel compelled to take that proverbial next step. By all accounts, the time has come. Undertaking an initiative as significant as this could prove daunting to others in his league, but Ryan Mark is a man of adventurous spirit who loves nothing more than to embark on a quest he is certain is being powered by divine guidance. Still, doesn't he feel the least bit pressured to deliver? I wanted to know. "It's not pressuring. I see it as something new that I just have to get used to," he assures me, leaning against the podium from which he delivers his weekly sermon. "If it was up to me, I would just stick with music, but it's not." He smiles. "Taking on the role of a pastor is a huge sacrifice. I am just working in total obedience." It's just five weeks old but Pure Heart has already started to attract the backing of gospel fraternity heavyweights like Tommy Cowan and Carlene Davis. 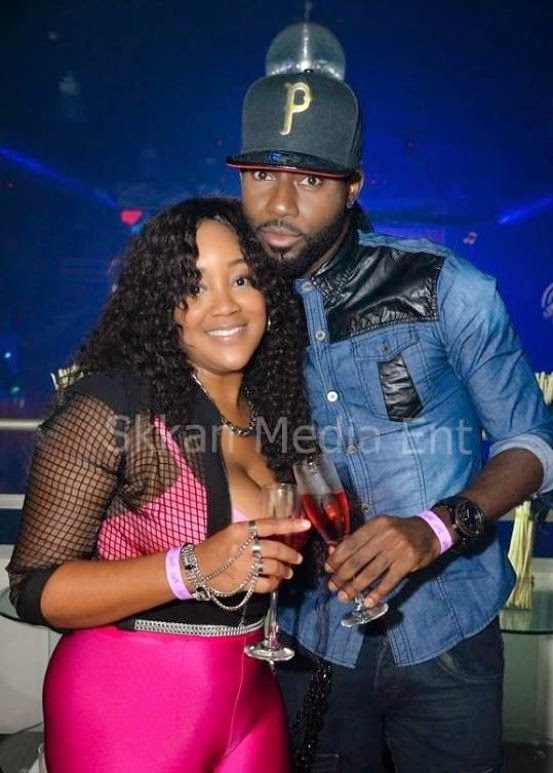 Even former dancehall starlet Miss Ting, a newly converted Christian, was also in attendance when TALLAWAH paid them a visit recently. As the ministry starts to take shape, Ryan remains absolutely clear about what Pure Heart will go on to ultimately achieve. "My aim is to have a ministry that the rest of the world can recognize," he emphasizes. "I want it to become known for signs and wonders and healings. People are going through such hard times, and I see it as my job to point them in the right direction." Unsurprisingly, getting to this moment of clarity and focus meant banishing all traces of self-doubt and negative thinking. And, of course, moving past the naysayers and detractors. "For some, they saw this as me taking on a really heavy task, but they were more concerned about if I'm ready for it," Ryan explains. "I am. Definitely. This is the season that God has chosen for the work to begin. So here I am." One who is absolutely sure he'll succeed is wife of seven years, Dawnette 'Chrissy D' Reynolds, who has already taken on an active role in the new church as praise-and-worship leader. "You'd think this was a sudden transformation for him, but he's been preparing for years now," she tells TALLAWAH, her bright eyes widening. 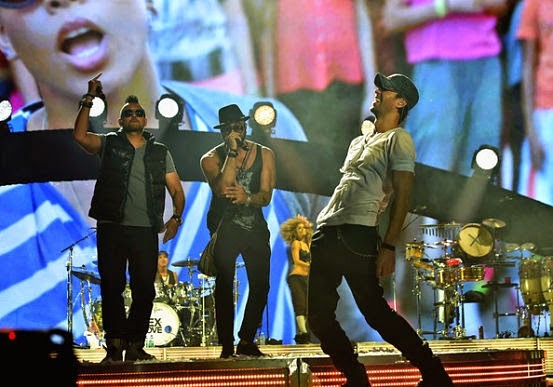 "He's been invited to perform in places like Florida and New York and ended up preaching. He has it in him to accomplish great things. God always uses the simple man to do great things." 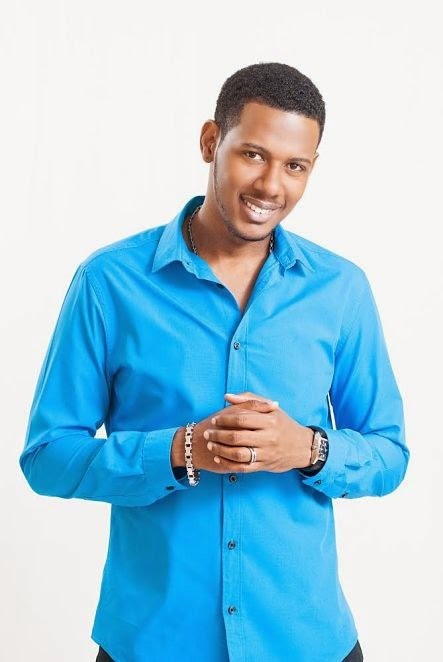 In a way, Ryan Mark's new chapter reflects the stark changes being witnessed, not just on the gospel scene but in the wider Jamaican society, where influential figures are becoming increasingly emboldened to channel their star power and clout into projects that will have far-reaching and lasting impact. "Having power is one of the truly great things in life, but how do you use it? For positive or negative?" the minister argues. "I want to use mine to bring hope and empowerment to people. I am all for power and influence, but I'm interested in channelling it through the gospel so that we can bring about the change that we want to see." Ryan Mark will be the first to assure devoted fans of his music and ardent followers of his recording career that turning his back on the recording studio is not an option. In fact, his newest single "My Papa" is currently seeking heat on the charts and 2015 promises to bring his next as-yet-untitled album. But for the time being, as the journey continues, his primary focus and energy rests on being a committed servant of the Word, raising his fast-growing daughter Sara, being a good husband, and giving thanks for his many blessings. 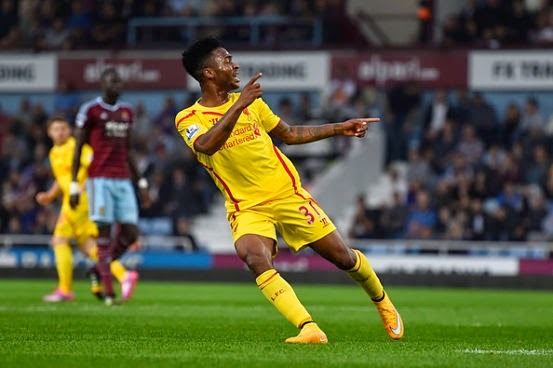 "It's a a new time, a new season, but everybody still has their role to play. We just have to figure out what God is saying to us," he reflects. He pauses, then stares out into the empty theatre, seemingly collecting his thoughts. "This is going to be with me for life. I think that was one of the scariest things about starting the ministry," he confesses. "But this is it. There is no turning back." AS I AM: Ramsey (far right) works the scene, opposite Reid and Bellanfantie, also pictured below with Williams. A sporadically laugh-out-loud new comedy about life in a typical urban Jamaican neighbourhood, The Prophet is peppered with social commentary, populated by crazy-colourful characters and anchored by a characteristically side-splittingly boisterous lead performance by crowd favourite Keith 'Shebada' Ramsey. One can never tell what is going on in the ever-wandering mind of writer-producer David Tulloch, who has a knack for taking the topical issues of the day and infusing them with his own raw and restless energy and near-scandalous viewpoints to create something both entertaining and thought-provoking. The wheels are constantly in motion. So while The Prophet doesn't venture close to his finest hour, it certainly brings the big, extended laughs and the kind of light-hearted banter that works for its target audience. An actress who is clearly coming into her own with each performance, Dainty Bellanfantie is Mercedes, a struggling single mom (and lady of the night) whose truant teenaged daughter contributes immensely to the stress. It doesn't help either that the man believed to be her biological father (Marlon Brown) is a local thug who chiefly makes his living via the lottery scam and wants nothing to do with them. Junior Williams, meanwhile, is the corner-shop businessman Shoppy, whose spot provides the setting for most of the play's action. Garfield Reid dons a gut, a beard, and a fedora to play Pops, a grumpy old-timer with a cane and a taste for young girls. Surveying it all from the safety of the garbage dumpster, while "communing" with God, is Prophet, the community warner-man garbed in royal Rastafarian colours and widely believed to be bonkers. But he can explain. "I nuh mad," he assures everyone. "I just want something to eat." These are "people" you know or have come across at some point or another, but in Tulloch's hands they are so complex and multi-layered that they border on caricature. Still, as a whole, the actors exude a winning chemistry that makes the play's shortcomings tolerable. PRIDE AND PREJUDICE: Everyone is buzzing about Viola Davis’ envelope-pushing new TV series, ABC’s How to Get Away with Murder, which s bound to spark endless rounds of water-cooler conversation. It’s the latest effort from the arsenal of creative genius Shonda Rhimes, so how could it not? 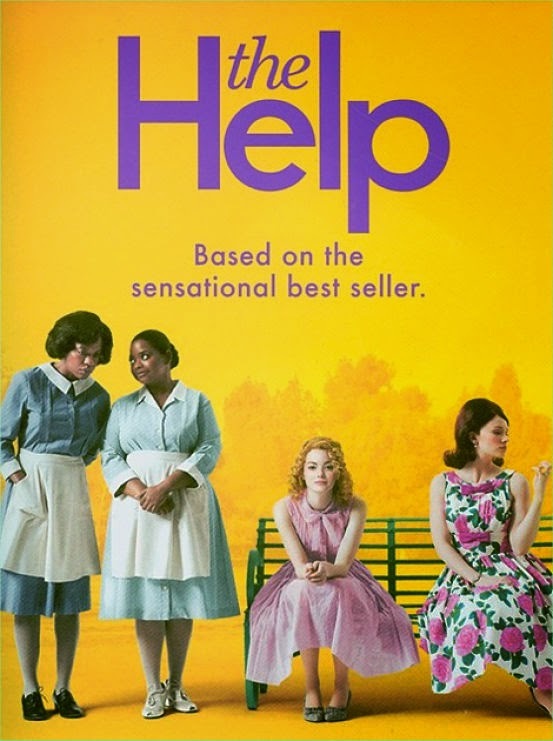 The spotlight naturally turns to Davis’ brightest career moments, which must include the book-to-screen adaptation of Kathryn Stockett’s international bestseller The Help, a wise and poignant first novel that delves into early ‘60s life in Jackson, Mississippi and how a group of oppressed Black housemaids helped change the city’s pernicious social hierarchy and their own lives forever. ACTION TIME: Here’s a worthy companion piece to Denzel Washington’s The Equalizer, out now. Set amid the steel-and-glass towers of corporate privilege in Berlin, Milan, New York City and other global destinations, The International revolves around a dedicated Interpol agent (Clive Owen) and an assistant district attorney determined to expose the shady dealings of an international bank. Before long, the two are up to their necks in tracking assassins, illegal arm deals and other dangerous stuff. Overall, it’s a sleek and twisty thrill ride. MODERN FAMILY: More than ever, the Black experience is getting its due on US network television, as actors and producers continue to make powerful strides in Tinseltown. Now comes Black-ish. Ace comedian Anthony Anderson (K-Ville) and Tracee Ellis (Girlfriends) headline this refreshing new take on the modern Black family, a sitcom centred on an upper-middle class clan whose move to upper-crust white suburbia brings into play matters concerning class, race and the myriad shades in between. Laurence Fishburne, also an executive producer, rounds out the main cast as a cynical grandpa whose subversive wit goes hand in hand with his triend-and-proven wisdom. IN THE SPIRIT: Whether performing traditional gospel or edgier tunes, Yolanda Adams holds true to her message of praise and conviction. Much of her 2006 release, Day by Day, one of her most enjoyable efforts to date, delivers much of the same and then some: outstanding inspirational ballads with a piano or organ accompanying her pure, honeyed vocals. Best are the rollicking “Victory” (from The Gospel soundtrack), which calls to mind a funkier church processional, and “Alright,” with its thick, driving beat and candy-coated chorus. Like Kirk Franklin and Mary Mary , to name just a few of her contemporaries, Adams’ Day by Day fits right in on mainstream radio. YOU TALKING TO ME? : The gritty new film reteams Washington with Training Day director Antoine Fuqua. 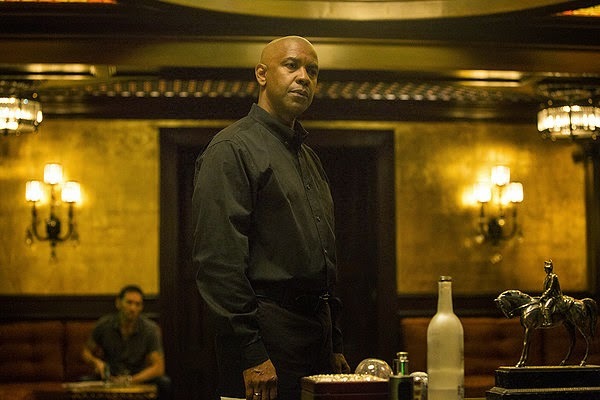 That’s the kind of discursive thought process that governs the actions of Robert McCall, the deeply mysterious yet immensely likeable protagonist portrayed with gravitas and characteristically tour-de-force acting by Denzel Washington in The Equalizer, marking a reunion project with Antoine Fuqua, who directed him to an Oscar for Training Day in 2002. In the end, the movie represents another formidable match-up between the visionary, edgy director and one of Hollywood’s finest leading men who elevates a story of good-versus-evil into an engrossing morality tale. In spite of the film’s length (it runs close to two-and-a-half hours) you can’t look away, and it’s stark testament to Washington’s appeal. Like the best of wines, he only seems to get better with age. As with such previous one-man adventures as Man on Fire and the more recent Book of Eli, Washington’s McCall is a loner at heart with a past, a mystery man whose incredible self-discipline impresses and whose eccentricities confound. By day, he works at a gigantic haberdashery; every evening he takes his usual seat to eat and read at a local diner. Pretty mundane stuff. But as events start to unfold what emerges before our very eyes is a very dangerous man, one equipped with the lethal combat skills of a trained assassin. As the opening quote affirms, this is a man intent on fighting for the defenceless, settling scores on their behalf in the tradition of Showtime’s Dexter. So when McCall attempts to save an aspiring young singer Teri (Chloe Grace Moretz) from the clutches of a mob of ultra-Russian gangsters who run an intricate drug and prostitution ring, things heat up, and so does the body count. It’s a development that brings into the picture a ruthless Russian thug named Nicolai (Morton Csokas) sent from Moscow to ‘rectify’ – which sets up a clash royale between our hero and one of the toughest rivals he’s ever encountered. Needless to say, it all gets very messy. The violence gets Tarantino pulpy and viscerally graphic on occasion – but thankfully it never feels gratuitous. There are also welcome but fleeting appearances by Melissa Leo and Bill Pullman as figures from McCall’s past, not to mention a reasonably solid script from Richard Wenk. 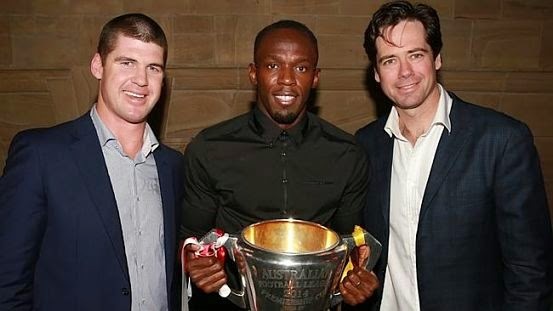 SOLID GOLD: Bolt poses for a picture with the 2014 premiership cup, alongside Jonathan Brown and AFL CEO Gillon McLachlan at the Virgin AFL party in Melbourne on Wednesday night. In Usain Bolt’s glittering orbit, there’s always time for stylish adventure (the sprint legend is currently in Australia) but in spite of all the globe-trotting, whether for work or leisure, Bolt’s core purpose is never far from his mind. THE RIGHT NOTE: Dje spreads her wings as she serenades the Essence crowd. One of the joys of covering the live music scene, especially here in the capital, has been the chance to come across something or someone entirely new – chiefly, amazing young vocal talents ready to be plucked from relative obscurity and thrust into the heart of the wider public consciousness. By all accounts, singer Dje Dyke is poised to have her shining moment. The twentysomething songstress, who jokes that she is “from the Netherlands” was the featured act at the increasingly popular Tuesday Night Live, a weekly musical performance event put on by the sophisticated speakeasy The Essence, in the heart of King’s Plaza. Dje was tasked with keeping patrons in the groove as they nursed their drinks and devoured their jerked chicken and escoveitched fish. I admit that at the outset I had my doubts that she could reel us in. Boy, was I wrong. This is a girl whose tastes impressively span the gamut from jazz-club anthems to R&B to rootsy reggae, so she unsurprisingly made light work of Erykah Badu’s megahit “Call Tyrone” before launching into Bob and Lauryn’s “Turn Your Lights Down Low” and another Marley favourite “Is This Love?” Dje is no Tessanne Chin, but when drops the first few bars of “Underneath It All” you can’t help but swoon under the warm seductiveness of her melodic caresses, each note carefully signed, sealed and delivered. Against the backdrop of the tranquil outdoor setting, soothing renditions of Sade’s “By Your Side” and Vanessa Carlton's “A Thousand Miles” went down just as smoothly, and sent us off into the night utterly satiated. TURN ME UP: A belter exatrordinaire, Hudson also knows her way around a club jam. Some singers blow up a gale wherever they go. In the case of Jennifer Hudson, the girl can't help it. From her Oscar-winning portrayal of scorned singer Effie White in Dreamgirls to earning raves as Broadway star Veronica Moore on NBC's Smash to her Grammy-winning self-titled debut album and its stellar follow-up, I Remember Me, Miss Hudson has become synonymous with powerhouse vocal performances that not only show off her multi-octave range but reminds listeners, too, that the voice is one of the most mesmeric instruments around, capable of surprising us in ways we never imagined. What's more, any artist worth their salt becomes interested in switching things up every now and again. So you totally understand the (slightly) dramatic departure the singer's brand new solo disc JHUD (her third effort, in stores this Tuesday) takes. 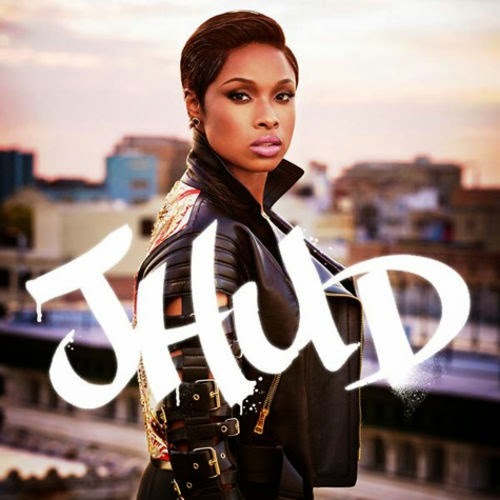 Where her first two records were infused with sultry balladry and slow-burning grooves, JHUD is a study in deep and danceable rhythms (with the occasional heartfelt number) — a soundtrack that allows the multi-faceted chanteuse to reveal yet another dimension. Also, it presents a diverse mix of styles and genres (electro-pop, disco, funk and club jams) that play to her strengths as a belter extraordinaire and a vocalist who knows her way around a dancefloor banger. From the opening strains of "Dangerous", the album comes on super-strong and takes you on a roller-coaster, so to speak, across the expansive landscape of modern life, celebrating the highs and lamenting the heartaches. Though each of these 10 tracks boast individual strengths, there's something to be said for the buoyancy of standout cuts like the R. Kelly-assisted "It's Your World"; the attitude-laden "Walk It Out" (a rare collabo with Timbaland); and the pleading, earnest "Still Love You." Of the moment raptress Iggy Azalia is featured on the bouncy "He Ain't Movin." As for the remainder of the disc, the mood takes a noticeable shift as a meditation on the myriad affairs of the heart seizes the spotlight. PRIVATE LIVES: Cunningham and costar Munair Zacca in a plaintive moment from Lotto Money. Few would believe that Dorothy Cunningham still gets nervous before a performance after forty years of main-stage appearances. But by her own admission, the nerves help to keep her on her toes. "I still get nervous, and I'm glad for that because when I don't feel nervous that usually means trouble," she tells TALLAWAH. "I need what they call the adrenaline rush." For such a legendary and prolific thespian, it's a confession that reminds us of the fact that, in spite of the superwoman qualities she consistently brings to every role, Dorothy Cunningham is still, at the end of the day, very much like the rest of us. We are happy to report, too, that age (she's well into her 60s) has not diminished her capacity for delivering comedic and/or dramatic gold for her audiences, as she does, quite endearingly, in her latest role as the beleaguered wife Alzira (opposite Munair Zacca and Peter Heslop) in Pablo Hoilett's Lotto Money, which just debuted at the Theatre Place in New Kingston. "I'm not bored with theatre; at least not yet," she says, half joking. "Anything that comes my way usually has its own challenges because that's life, so you expect them." Last seen on stage over a year ago playing the formidable Miss Aggie in Trevor Rhone's seminal classic Old Story Time, Cunningham (forever immortalized in small-screen history as the tireless Miss Zella on Lime Tree Lane) has seen her acting career traverse the peaks and valleys of success. But what has impressively stayed constant is that unwavering passion for giving of her best self once the curtains open. "I think I have been blessed. I've worked with some of the greats over the years, and it can be an interesting learning process," says the grandmother of three, seated in the theatre lobby after a solid opening-night showing on Friday night. "It's been forty years now since I've been in the business, and I'm grateful that producers think I'm still relevant," she notes. Needless to say, Miss Cunningham has every intention of continuing her work in the industry for as long as "I can walk in a straight line," she laughs. "I respect my audience. I always want to give of my best. I've learned that regardless of what life throws at you, you have to be true to your work and your individual creativity. I think God created actors for a special purpose. We are the ones who hold up a mirror to the society." OPEN BOOK: The author signing copies and greeting attendees at Sunday's lecture at the IOJ. During the Q-&-A segment of the National Library of Jamaica's 5th Distinguished Lecture, hosted by the Institute of Jamaica on Sunday afternoon, a participant took presenter Olive Senior on an unexpected trip down memory lane. "Twenty years ago you told me you were going to write about Panama, and I've been waiting for [the book] ever since," the former colleague recalled. "Why did you want to write about Panama?" As pleasantly surprised as she was by the encounter, it was precisely the kind of flashback moment Senior needed to put into context the genesis of her new work, Dying to Better Themselves: West Indians and the Building of the Panama Canal (UWI Press). "I chose Panama because I grew up in a household with people who had gone to Panama, including an uncle and my grandfather, who told us stories about their experiences. So I had all of these images imprinted on my mind," Senior told the rapt auditorium. "So at some point I decided that I wanted to know more about what people did there." Curiosity, as they say, got the better of her and led to wide-ranging research and the eventual completion of a first draft that was put on hold. That was years ago; she wrote 14 other books in the meantime. But on the occasion of the centenary of the construction of the Panama Canal (1914-2014), Senior knew she had to dust off the story so it be could be ready to join the global conversation. "I'm glad I didn't publish that first draft. I think I'm a much better writer now," she admits, laughing. Dying is a thick volume (some 416 pages) which meticulously charts how the myriad individuals touched by the construction of the railroad and the canal changed their Caribbean worlds as well. On a larger scale, this important new historical text examines the neglected post-emancipation generation of the 1850's who were lured to the Central American country, particularly Colón, by the promise of lucrative work and who initiated a pattern of circular migration that would transform our islands economically, socially and politically well into the twentieth century. At the heart of it all looms the complex figure of the "Colón Man." "Going to Colon became a style, became the iconic image back home and became part of the West Indian epic," Senior emphasized in her lecture, equally drawing attention to such evocative reminders of the experience as the song "Colón Man Ah Come" and the "cargoes of fake jewelry they brought back." As her presentation further attested, Senior believes history has been unfair to poor Colón Man, who is repeatedly treated as a stereotype in everything from folk songs to stories handed down through generations. "I am interested in presenting him as an archetype," Senior says, "one driven by the need to improve his conditions; dying to better himself." BEST SEAT IN THE HOUSE: "The theatre scene is evolving; we have to respond to it." Like the incredibly talented veteran actors who star in his latest production, Lotto Money, director Pablo Hoilett (now in his mid-50s) has been a fixture in Jamaican theatre for decades, still going strong and showing no signs of easing up. Celebrating the successful debut of the hilarious new comedy, Hoilett (whose next production is a November adaptation of the stage classic The Owl and the Pussycat) dishes with TALLAWAH about the play's broad themes, including the nouveau riche, how theatre can respond to the global changes, and being bitten by the acting bug all over again. TALLAWAH: You're directing Lotto Money this month at the Theatre Place. Have you ever been a big-time gambler? Pablo Hoilett: I wouldn't say that. I have bough Lotto, but I'm not a gambler by nature. I've always believed that the results you get are based on the work you put in. I can't say I've dabbled in chance much. But who hasn't gambled even a little at some point in their lives? I've done it for fun, but at the end of the day you have to work for what you want. TALLAWAH: Tell us about directing an accomplished ensemble cast like this one. P.B. : With this group of actors, I'm not new to directing them. I've worked with them for years. In fact, Munair Zacca won Best Actor for a show I directed him in called Prisoner of Second Street, back in the 80s. Dorothy and I worked together on Lime Tree Lane and When the Cat's Away, and Peter and I go way back. These are among my favourite performers to work with. Age is definitely a factor you can't ignore. As time goes by, we all slow down, but the experience and knowledge increases. We become wiser, more alert and endowed with greater insights, and that is priceless. TALLAWAH: Trevor Nairne recently made mention of your award-winning performance in Equus at the School of Drama back in the 1970s. Do you ever miss the thrill of acting, being on stage? P.B. : I do, and I'd love to return to it. I don't know if anybody would put me in a play though. I'm a theatre operator now; I'm more into the business side and it definitely stretches me. But as an actor I am usually totally immersed in what I'm doing, and I like to prepare in a very thorough way. For me, it gets very intense. So I'd love to do some more acting, and a lot of the people I direct think I should. TALLAWAH: Back to the play. Why was it important for you to bring this story to the stage, and what do you hope audiences take away from it? P.B. : I was interested in the idea of wealth, how money changes people. It's something we all need to look at — how some of us achieve and start to lose the common touch. Apart from that, the play has some very good roles in it, and so I wanted to do it. It's a play that demands that its actors fully understand the characters and what the play itself is about. TALLAWAH: Theatre is going through a challenging period on a whole right now. Are you optimistic about the industry's future? P.B. : Yes. The world on a whole is changing rapidly, and we should not expect things to remain the same. We have to embrace change or we will get stuck in the past. The theatre scene is evolving as you can see, and we have to respond to it and guide that change. People are coming to the theatre for different reasons now; people are laughing for different reasons now. So it's very important to keep your ears to the ground and keep up with the new demands or else you will get left behind.